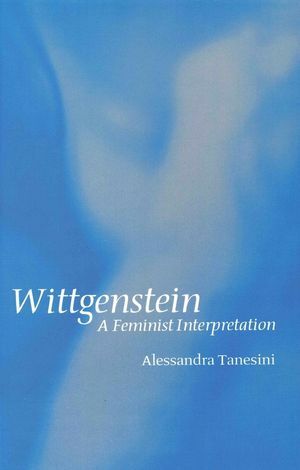 In this new book, Alessandra Tanesini demonstrates that feminist thought has a lot to offer to the study of Wittgenstein's philosophical work, and that -at the same time-that work can inspire feminist reflection in new directions. In Wittgenstein, Tanesini offers a highly original interpretation of several themes in Wittgenstein's philosophy. She argues that when we look at his work through feminist eyes we discover that he is not primarily concerned with providing solutions to technical problems in the philosophy of mind, mathematics, and language. Instead, his remarks on these topics are intended to offer insights about human finitude, the loneliness of the modern autonomous self, and our relations to other human beings. Thus, the modern conception of the individual emerges as the critical target of Wittgenstein's philosophical work, both early and late. This conception has also been one of the dominant concerns of contemporary feminist philosophy. In this book, Wittgenstein's insights are deployed to further feminist debates on issues such as identity, difference, the masculine character of the modern self. Alessandra Tanesini is Senior Lecturer in Philosophy at Cardiff University. Chapter 1: Loneliness and Modernity. Chapter 2: A Question of Style?. Chapter 3: A Poem to Solitude. Chapter 4: A Picture of the Inner. "In this extraordinary book Alessandra Tanesini uses a feminist lens to bring into focus the disaffection with modern subjectivity that, she persuasively argues, links Wittgenstein's work, early and late. Her sensitive scrutiny yields carefully focused readings through which she traces the shape of Wittgenstein's efforts to return us to finitude, to our bodies, and to each other." "This book looks at Wittgenstein through the lens of feminist philosophical methodology. What emerges is an illuminating recognition of his work as a critique of modernist thinking for leading to a separation between self and world, and seld and others. Tanesini presents us with a Wittgenstein searching for descriptions which allow us to be "at home" in the world and "at home" with each other. This is a striking use of feminist methodology to yield new insight into well-know philosophical texts."